Security establishment believes the shells were stray ones. No one was hurt and no damage was caused. 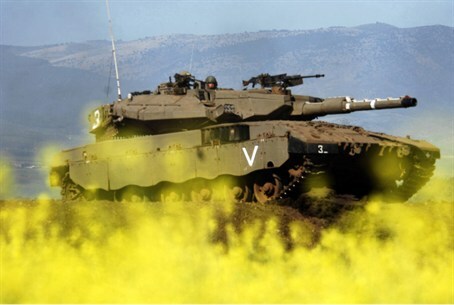 Three mortar shells exploded Saturday afternoon in the southern Golan Heights, near Ramot Magshimim. No one was hurt and no damage was caused. The defense establishment believes that the shells were stray ones, which were fired in the course of the civil war in Syria, on the other side of the border. Israel filed a complaint to the UN force that is stationed on the border with Syria. Three days ago, a mortar shell fell near Alonei Habashan, which is only 700 meters away from the border, without exploding. In early November, a mortar shell struck inside Alonei Habashan, and caused no casualties or damage. Three Iron Dome batteries were stationed in northern Israel in the course of the last month, to defend against a possible enemy attack.